Dr Mark is a veterinarian. He works mostly with dogs, and also spends time training and caring for his own canine family. Prey drive is the instinct that animals have to find, chase, and then take down another animal—their prey. 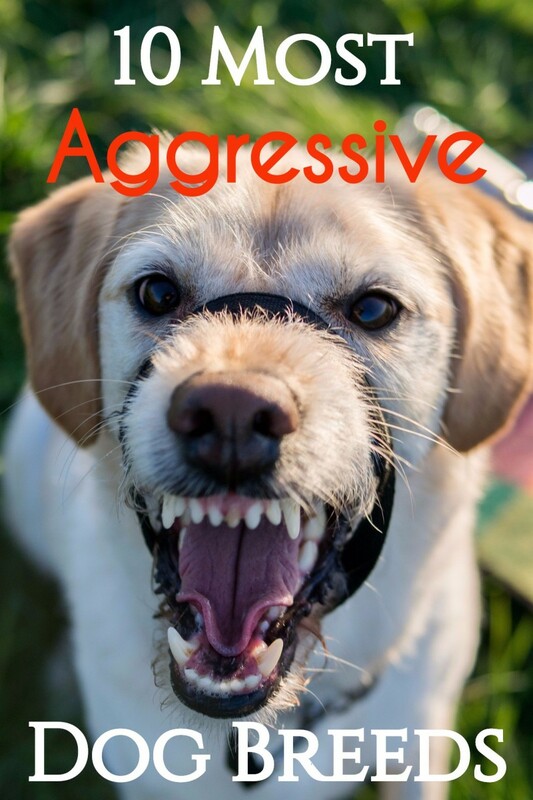 Dog trainers use the phrase a lot when they are talking about an aggressive dog that is alert and easy to train. Most people have seen a cat who gets along with dogs just fine, until that moment when the smaller animal starts to move away. A dog with high prey drive will chase the cat down. Dogs with a low prey drive will simply look at another animal but will otherwise appear apathetic and nonreactive. All dogs have some prey drive, although it is so mild in some breeds that it is barely noticeable. This trait can be useful in dogs that people want to use as guards, herding animals, and hunters. It can also be a poor quality if you want a calm dog that is going to lie around with the cat and enjoy your tranquil life. The instinct to chase can be discouraged, but the best way to avoid it is to select a dog with low prey drive. One of the breeds listed below would be a good option. One of the tiniest breeds available (under 8 pounds, but often less than 5), the Maltese is usually friendly around cats and other animals because of his size and low prey drive. They are a lazy dog, and usually pleasant to be around. This little dog also rarely sheds. Some people will tell you he is hypoallergenic since he has no undercoat and is fairly clean, and since the coat can be a lot of trouble to take care, owners often keep their dog in a short “puppy cut;” the puppy cut is much easier to groom. Be forewarned, if you are looking for a dog with a low prey drive that does not bark, this dog is not a good choice. A French Bulldog is a better option if barking is a serious issue (like neighbors complaining in your apartment building), and many of them do not have a high prey drive. This dog is not always as tiny as the Maltese but can be, and most are under 10 pounds. They play with their paws like a cat, and although they shed, they make good apartment dogs. 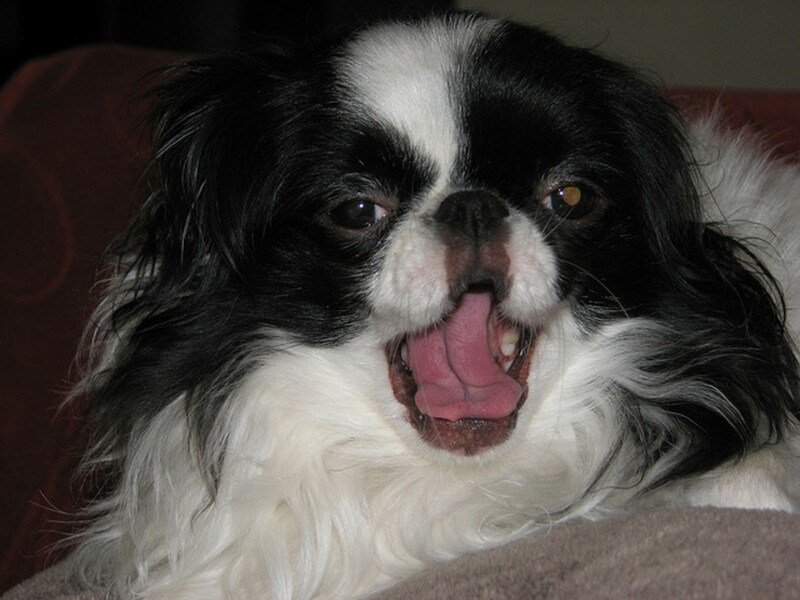 If you look around there are videos of Japanese Chin playing with cats. They are playful dogs but not aggressive, and almost all of them are lap dogs. 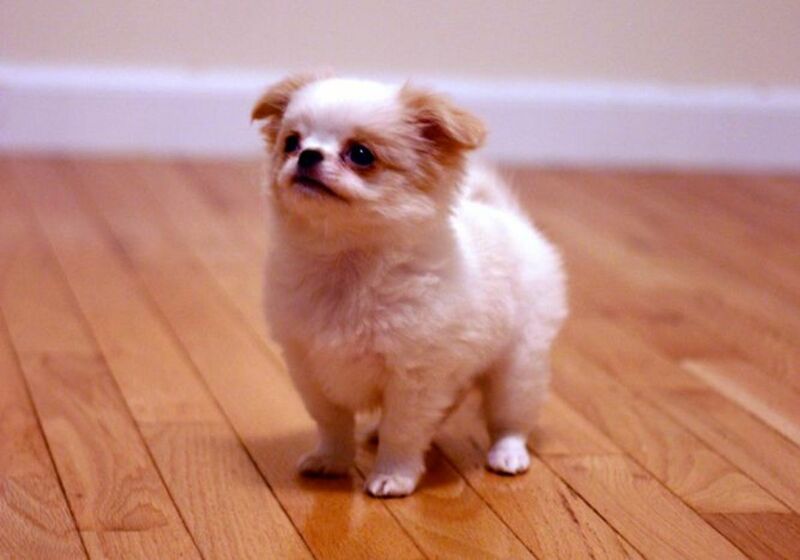 Japanese Chin have been selectively bred to have a calm demeanor and to not display negative, instinctual behaviors. 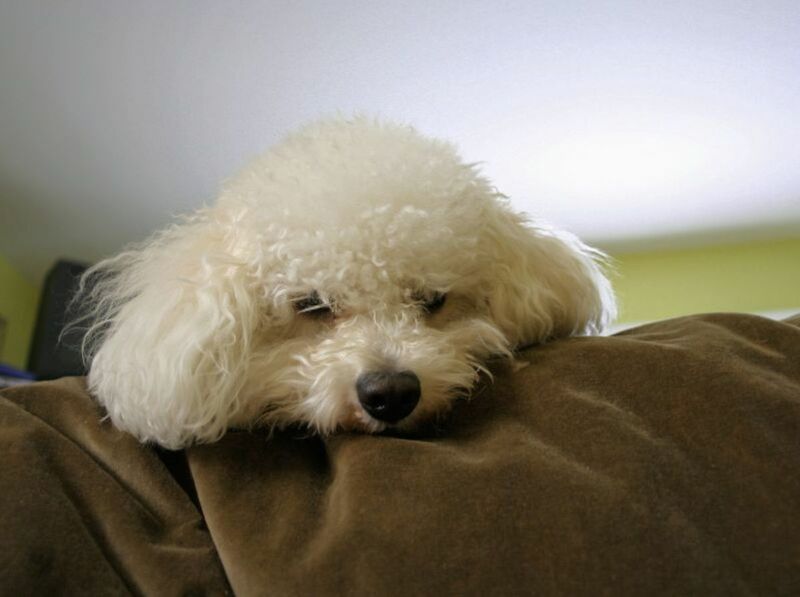 One of the fluffiest and cutest little white dogs, Bichon are playful and very affectionate. They are not the kind of dog that will chase down your cat. Bichon are a little larger than a Maltese or Chin, about 10 to 20 pounds, and a lot more sturdy. If you have kids, they are a better choice than the fragile Maltese or Japanese Chin. They are also one of the dog breeds considered “hypoallergenic." 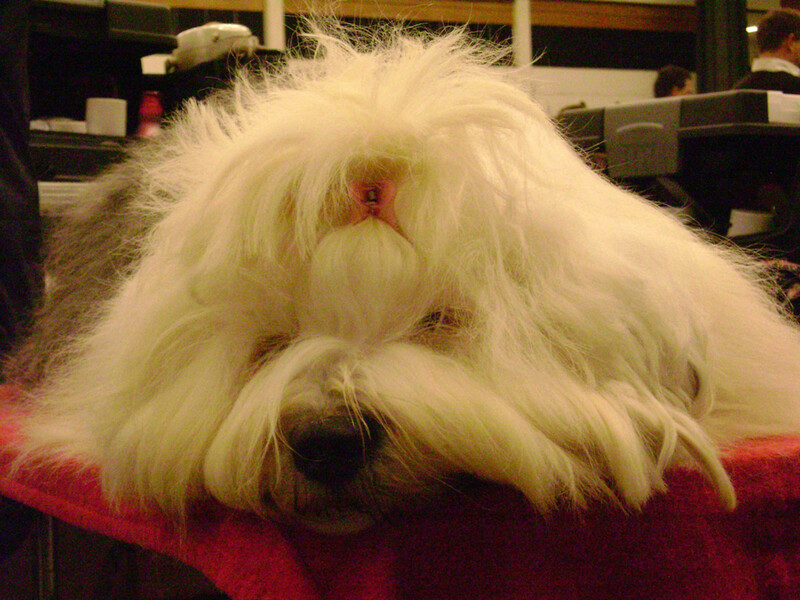 All dogs can provoke allergies, but since these dogs do not shed much, and are usually groomed, bathed, and kept clean by their owners; this way, they shed less dandruff into their environment. The other members of the Bichon dog family (Coton de Tulear, Bolognese, some Havanese, and some others) also have little desire to chase prey. Usually a little larger than the Bichon, Cavaliers are small dogs but not tiny; they are perfect for sitting on the lap. Even though they are one of the most affectionate dog breeds, many owners mention how playful their dog is and how he or she is willing to flush birds like a larger hunting breed. Most dogs of the members of this breed are more interested in spending time with the family, not chasing after other animals. Some dogs will have a mild prey drive but most have little inclination to chase. This Hungarian dog breed is a medium sized homebody. The usually weigh about 50 pounds but will gladly crawl up in your lap if allowed. What they will usually not do is chase small animals, and they are one of the few hunting breeds not so inclined. 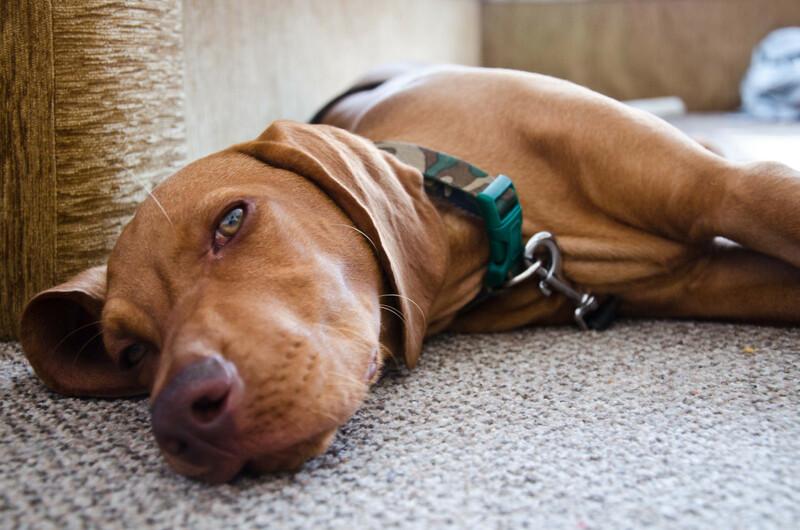 Vizslas are active, filling the role of both pointer and retriever when out working, and then coming home to become a “velcro” dog. They are good around kids. The only reason I hesitate in recommending this breed to everyone is their short life span. Vizslas only average about nine years. This is one of the few breeds that has low prey drive and is also considered easy to train. 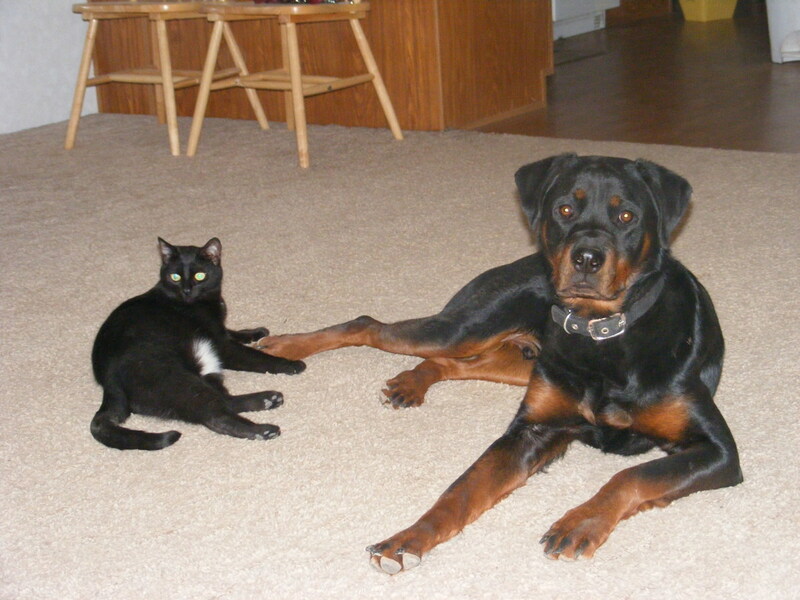 They are good with larger animals like horses, do well with kids, and are known to be one of the best dogs around cats. They are a large to medium-sized dog, definitely not a giant, and are often so well behaved that the family does not mind the larger size. Some dogs from this breed can have a high prey drive, however, so if you want to bring home a puppy be sure to discuss this issue with the breeder. (Dogs with a higher prey drive can be chosen by someone interested in search and rescue.) If you are adopting an older dog, always tell the shelter or rescue that you are looking for a dog with low prey drive and are taking the dog on a trial basis only. If the dog does not work out you will have to return him. Be sure to have your puppy examined by your veterinarian before making a final decision. If the parents have been screened for hip dysplasia or other genetic conditions read the results. I cannot guarantee that this dog is going to have a low prey drive, but most of those that I have come across are not aggressive. They are playful dogs and do like to wrestle, however, but are unlikely to chase your cats or other smaller pets they have been around. Most guard dogs will have a high prey drive. 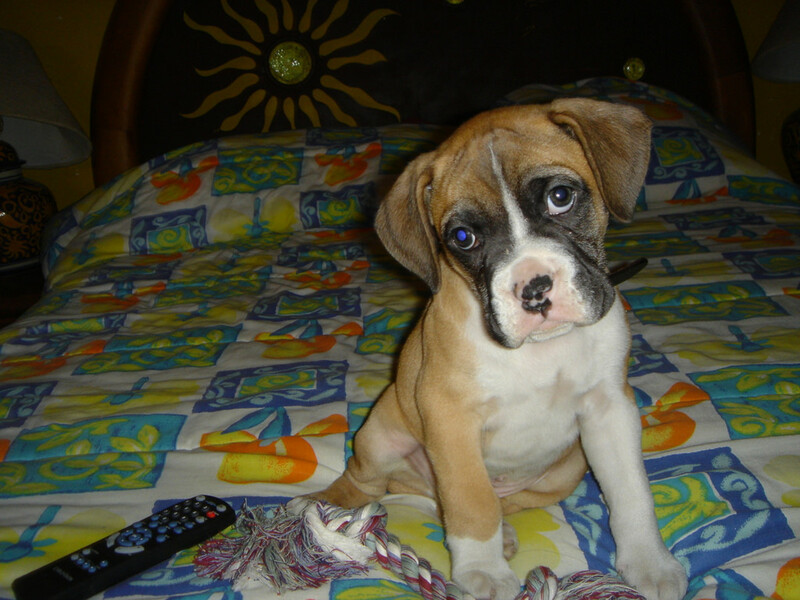 Boxers do not, but then again they do not make the best guard dogs. They do look the part though. This large dog is considered a herding breed but has a personality similar to a livestock guard dog. They are known to lie around much of the time, preferably watching the flock, and only lift their 80-pound bodies up and become active when there is some danger. Like the Maltese, these dogs can take a lot of grooming. Many of them are kept clipped in a “puppy cut," similar to the Maltese and Shih Tzu, so they are not any more work than other breeds. They are not always as calm as the Great Pyrenees and other livestock guard dogs, but, since they most lines have not worked as herders for over a hundred years, they are mostly quiet. Livestock guard dogs were bred to be around prey animals most of the day, so one of their important selection factors has always been a low prey drive. Any dog guilty of chasing and worrying the flock would be eliminated immediately. 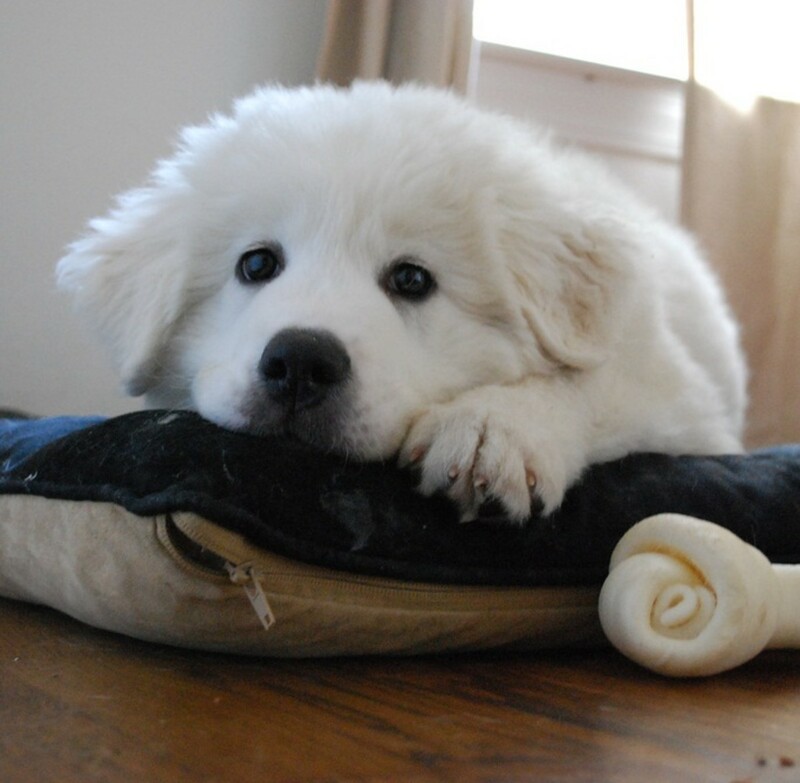 If you live off the grid in a farm or farm-type situation, the Great Pyrenees can be a great low-maintenance dog. If you expect this dog to live in a small house and adapt to apartment life, you will be unhappy. They are hard to train, have a thick coat suited for the mountains so they shed a lot, they feel the need to be alert and protect so they bark a lot, and since they are able to move around all day, they need a lot of exercise. The other livestock guard dogs like the Kuvasz and Anatolian Shepherd are also good alternatives. None of them are suited for urban life. 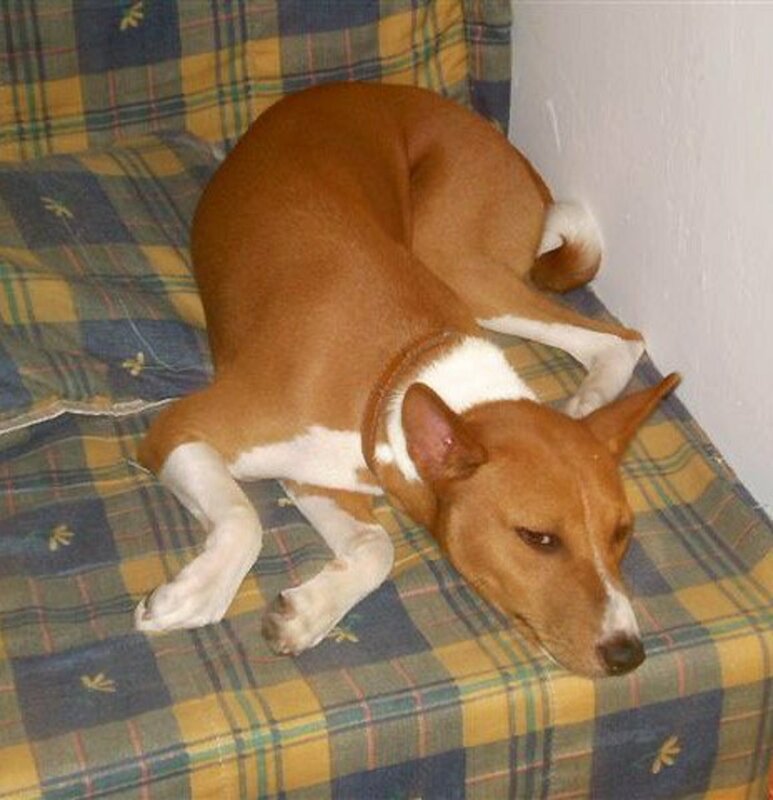 They are low prey drive dogs but have many needs that make them unsuitable in some areas. Why are you looking for a dog with low prey drive? I have livestock and they are afraid of dogs that chase. We dont want a dog that kills other animals. We dont want our kids around an aggressive animal. Dogs with high prey drive tend to be more alert and easier to train. If you want to increase your dog's prey drive, play tug of war with him, buy him squeaky toys and tease him with them, or buy a “flirt pole," which is a toy attached to a flexible pole similar to a fishing pole. Sighthounds: This group has a high prey drive because that is what people chose them for. They were bred for the chase, and the dogs in this class are not able to refrain from chasing even if the animal is not what they are after. A Saluki is not going to wait around for a gazelle to appear, and a Whippet might lie around all day and suddenly become active when your hamster escapes from its cage. Afghan Hounds, Greyhounds, Borzois, and other sighthounds should be avoided if you want a dog with a low prey drive. Terriers: These dogs were bred to chase down small animals. Some of them, like the Yorkshire Terrier, were bred as rat hunters but will attack any small animal that moves fast. Even though this trait has been bred out of many lines, the dogs are still more likely to chase your pet rodent. Guard dogs: These dogs may or may not have predatory behavior. Some breeds, like the Neopolitan Mastiff, are happy to defend their territory but are usually calm dogs and not up to the chase. Others, like the Cane Corso, will defend and then chase down anything they are guarding against. The breeder should be asked about the puppy's personality, since sometimes dogs with high prey drive can be identified very young. Herding dogs: Some herding dogs are good at their job because they have a high prey drive. Other good herding dogs, like the Sheltie, do not have a high prey drive. It is very difficult to generalize about these dogs, and unlike the sighthounds, many of these dogs will do fine with your other pets. The other pets might not like to be herded, however, which will make them run away, which will increase a dogs likelihood to chase. Hunting breeds: Not all gun dogs (retrievers, pointers, setters, etc.) are likely to chase prey. If the dog is well trained, and responds to his owner's command, these dogs can make excellent pets even around other smaller, prey-type animals. The most important thing you can do to decrease your dogs prey drive is teach him how to listen. With this method it is even possible to teach most dogs not to chase sheep, an animal that almost always run away, which is what dogs like. It is a good idea to enroll your dog in a basic obedience course. Besides learning the commands, he will also be socialized around other dogs. Socialization is one important way to make your dog less aggressive. Finally, when you play with your dog do not choose that activities that will make him more likely to chase other animals. Is My Dog Going to Chase Other Animals? All dogs are individuals. You might find a sighthound that does not have a high prey drive, just as you might end up with a livestock guard dog that really enjoys chasing small animals. The best thing you can do for your dog, no matter what the breed, is to start obedience training from day one. Teach your dog to look up to you and look to you for guidance. I have two guinea pigs that roam the garden during the day, and are locked away in the night. I want a dog that can keep them safe and keep my neighbor's cats from eating them, but I also don't want the dog to eat my guinea pigs. What do you recommend? If you get a dog with a low prey drive, he is probably not going to protect your guinea pigs. I had the same problem with cats killing my baby rabbits. They would come up from the fence where my dogs could not reach them. Many dogs will most likely get used to the guinea pigs and not try to kill them. My Pitbull was fine with the rabbits and always went after the cats. I think a farm dog (like a Standard Schnauzer) is even a better choice. Just do not choose a sighthound (Greyhound, Afghan hound, etc.) as those dog breeds will probably kill your guinea pigs. What kind of dog can we get if we have a bunny? Low prey drive dogs usually get along with rabbits. My Pitbull loves to chase birds on the beach but never messes with the rabbits, whereas my Schnauzer will always chase my rabbits. I think this depends on how the dogs are first introduced to the rabbits, the rabbit´s personality (a confident buck is going to smell noses with the dog, not run off) and of course the individual dog. If you do not have a personal choice for a dog breed, then I would recommend a Maltese. They are tiny, are often intimidated by a rabbit, and are such lazy little dogs that they often get along with other small animals. I have cats and rats, so what dog should I get? Any of the low prey drive dogs listed here are a good choice for a home with cats and rats. If you want a small dog then the Maltese is a good choice. I have two children aged three and five. I rent a house with a fully fenced yard, but it is a small yard. I work outside of the home two days a week. We also have a year old cat. I can't seem to find a breed of dog that would be suitable for our lifestyle and our home. Do you have any recommendations? 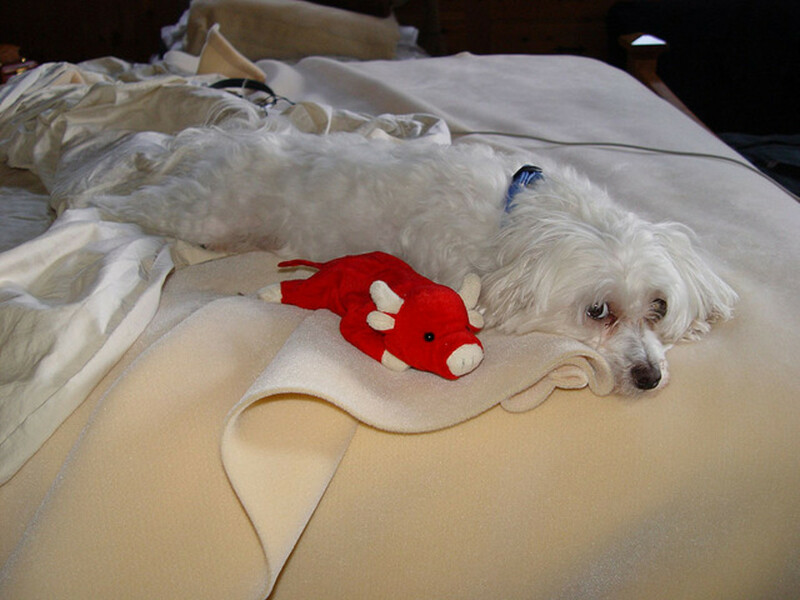 A Maltese is a good choice for a family that has cats and is sometimes not at home. However, since your kids are so young, I cannot recommend a Maltese. I waited until my son was as old as your oldest before bringing a Maltese puppy home, and he still fell over on top of him when they were playing and injured the puppy's leg the first day. If I were in your situation, I would wait until your youngest turns five. Your older child should be a lot more help at that time too. A Golden Retriever is a good choice if you want a larger dog, as he is not as likely to become injured playing with the kids. He is more likely to become bored when left alone, though. I have thirty hens and four guineas; which dog would be best around them? Most dog breeds are fine around guinea fowl. Unless they are wet during a rain they can fly and dogs give up chasing them. Chickens are another matter. Many dog breeds will kill chickens since they are bred to be less able to get away. Here is the link to another article I wrote on the dog breeds most likely to kill chickens. https://pethelpful.com/dogs/dog-kill-chickens At the bottom of the article is a list of breeds that will most likely not kill chickens. I am not sure what you are looking for in a breed but any of the dogs on this list are okay around chickens. If you are on a farm the livestock guard dog breeds (like the Great Pyrenees) are great but if you have a smaller space the Golden retriever is the best choice. 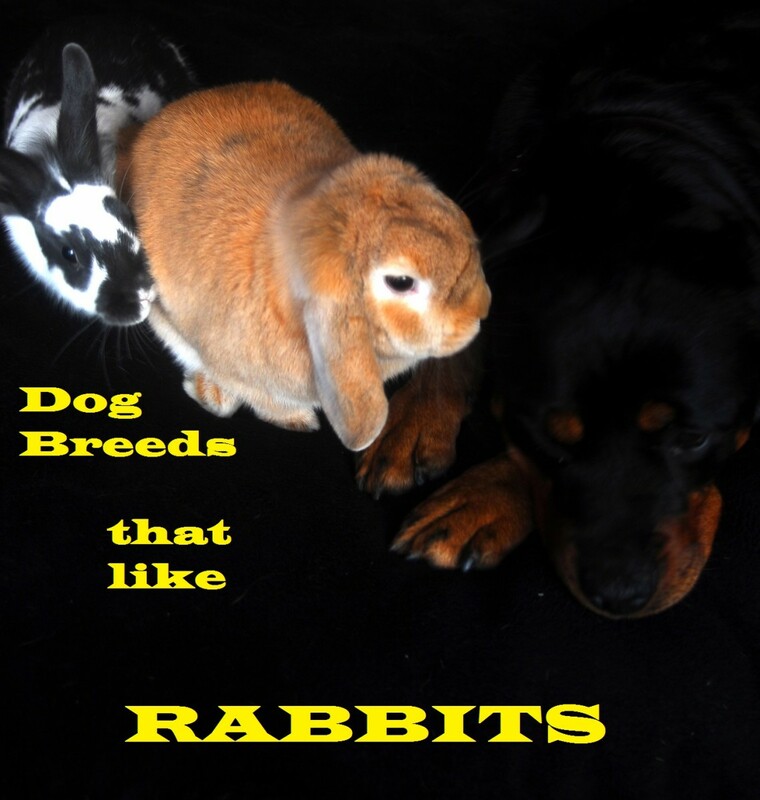 What breed of dog is good around rabbits? I have a Yorkie and bunnies. My Yorkie loves chasing and sniffing my bunny. What do I do? 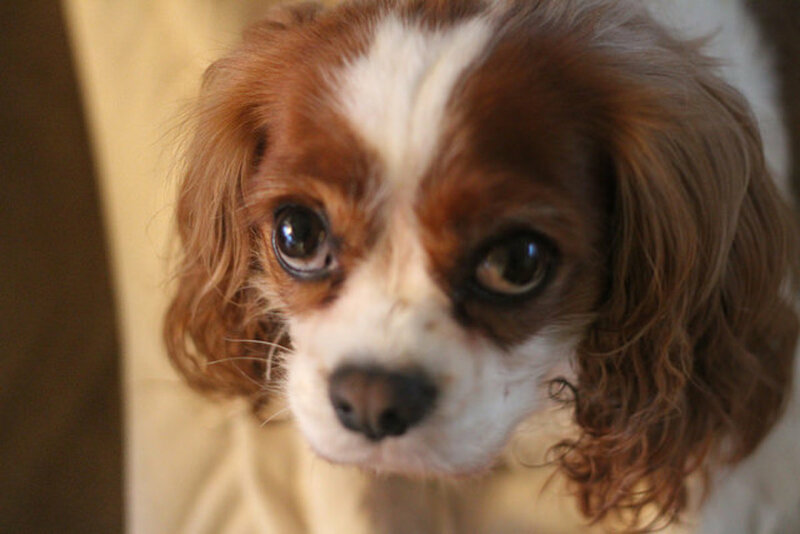 I have a cavalier but am looking for a different breed. She gets along with my ragdoll cat and my 4 parrots. I have pretty well settled on a Coton de Tulear. I wanted a Briard but I lost the property I wanted where I could keep sheep for the briard. I found this very interesting! I have a German Shepherd/Golden Retriever mix and a St. bernard mix and we just got a kitten. The St. Bernard mix has a very high prey drive and I thought it would never work. It's been almost two weeks and the two sleep together now! It took a lot of patience and sleepless nights but it was so worth it! 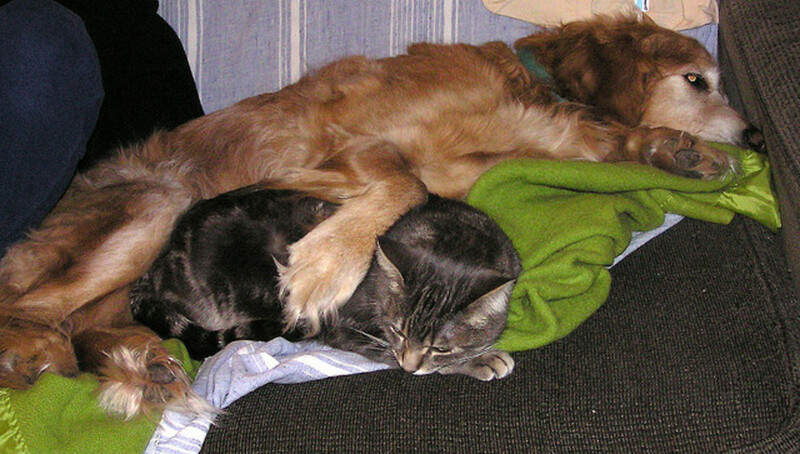 Of course my Golden Shepherd loves cats and everything else so I wasn't worried about him. That is okay. But I am not certain of the facts as I do not have the experience. Miebakagh, be sure to tell us what kind of dog you do get if you decide to add a new family member! I would like to hear about the breeds available in your region. @Bob Bamberg, agreed very useful information indeed. Normally, I do not pay attention to dogs in my environment because though these are friendly animals, loyalty is to the master. Now, due to Dr.Mark's teaching I will look well, and follow more of his writings on dogs. @Dr.Mark, Yes, many will not search for the story dog owners specially. But when serious about a dog challenges, they will. In addition, curiosity will make them land on your dog pages. Perhaps, I follow more of your stories on dogs, I may keep a dog, man's best friend later. Not sure how many people will even search for this, but it is an important consideration for those with lots of prey types around. How often have I heard "Why did my Yorkie kill my hamster? Why does my Italian Greyhound chase my ferrets?" Really good info, Doc...especially good read for people who are anticipating getting a dog. Authoritative help like this is hard to find. A lot of people depend upon friends or shelter volunteers, some of which don't have solid training and knowledge...or they go by the old stand by: they say that... I love the fitting pictures! Hello Dr. Mark, I enjoy the story. Now, if I meet a friend with a dog, I can ask :is he/she a prey dog? I could then be increasing my vocabulary about dogs. I will always read every article you publish for learning more about dogs. Thank you, and enjoy the day.